In the near future, the economy has collapsed, unemployment has soared and juvenile crime has exploded. Fearful of their nation's youth, the Japanese government passes The BR Law: Each year, a 9th grade class is sent to a remote island where they will be locked into exploding neck collars, given a random weapon, and forced to hunt and kill each other until there is only one survivor left. 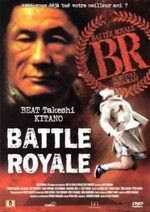 Chiaki Kuriyama (Kill Bill) and screen legend Takeshi Kitano (Boiling Point, Brother) star in this movie that has been argued, acclaimed and banned around the world. More than a decade later, it remains one of the most savage, shocking and emotionally powerful films of all time. Now experience Kinji Fukasaku's uncompromising masterpiece - nominated for 10 Japanese Academy Awards - available uncensored and unrated for the first time ever in North America. I just finished watching this one with my daughter. It is a very good movie. We both enjoyed it quite a bit. Though I must say that I lost track of the subtitles on more then one occasion so sure I missed some of the nuances. I also enjoyed seeing Tatsuya Fujiwara in another film. I know him from his portrayal of Light Yagami in the Death Note films. This is definitely a film you should check out if you ever get the chance. This morning I found myself in the mood for some Harry Potter. Before now all I ever seen is (I believe) the first 2 films in the series... even though I own the first 6 films. Still need to add the last 2 to my collection. Hopefully I will be able to do that before too long. Anyway... back to this film... I found this one to be a good start to the series. It does a good job at introducing all the characters and has an interesting storyline. The film, while a bit on the long side at just over 2 and a half hours, don't feel long at all. It seemed to be over before I knew it. Definitely worth the watch.... looking forward to the next film in the series. Cars fly, trees fight back and a mysterious elf comes to warn Harry Potter at the start of the second year of his amazing journey into the world of wizardry. This year at Hogwarts, spiders talk, letters scold and Harry's own unsettling ability to speak to snakes turns his friends against him. From dueling clubs to rogue Bludgers, it's a year of adventure and danger when bloody writing on a wall announces: The Chamber of Secrets has been opened. To save Hogwarts will require all of Harry, Ron and Herione's magical abilities and courage in this spellbinding adaptation of J.K. Rowling's second book. 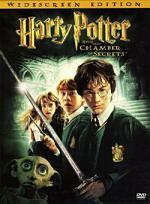 Get ready to be amused and petrified as Harry Potter shows he's more than a wizard, he's a hero! Year 2 at Hogwarts. It is a good continuation to the series. While far from pros... our heroes are getting more control over their powers. But at this point they are still relying a bit more on luck then anything else. I must say... I got a kick out of Dobby at the beginning of the film. This film is even longer then the first at almost 3 hours. Even so... like the first it still went by quickly. Definitely worth the time to check it out. It's Harry's third year at Hogwarts, but a shadow hangs over Hogwart's. A dangerous mass murderer, Sirius Black, has escaped the Azkaban Fortress - the Wizards' Prison. While learning to cope with the Dementors sent to protect Hogwart's, Harry learns the disturbing story of Sirius Black and yet more of his own history. Now I am up to the films I never seen before. The storyline continues to be good and keep my attention. I don't think this one is quite as good as the first two... but it is close to them. Not much worse. Another long film... I expect that they all are... but still worth the time put in to watch them. Thanks for this .. having a good time seeing others enjoy HP .. I am trying to get the next one watched... but things keep getting in the way today. Hopefully I can at some point today. 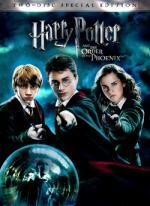 I actually think I liked this one the best out of all the Harry Potter films so far. I found the tournament to be a lot of fun to watch. This is of course another long film... but once again it don't feel like it while watching. It really does seem to go by quickly. I like the idea of a bit of a budding romance between Hermione and Ron... though when first starting the series I really thought it would be her and Harry getting together. Anyway... definitely worth checking out. The rebellion begins! Lord Voldemort has returned, but the Ministry of Magic is doing everything it can to keep the wizarding world from knowing the truth – including appointing Ministry official Dolores Umbridge as the new Defense Against the Dark Arts professor at Hogwarts. When Umbridge refuses to teach practical defensive magic, Ron and Hermione convince Harry to secretly train a select group of students for the wizarding war that lies ahead. 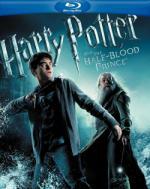 A terrifying showdown between good and evil awaits in this enthralling film version of the fifth novel in J.K. Rowling's Harry Potter series. Prepare for battle! This one I enjoyed quite a bit. Not as much as I did the last one (Goblet of Fire)... but it is right up there with the rest of the series. I did find this one to be a little slower. But it was still enough to keep my interest through-out the entire film. Definitely worth the time put in to watch it. Voldemort is tightening his grip on both the Muggle and wizarding worlds and Hogwarts is no longer the safe haven it once was. Harry suspects that dangers may even lie within the castle, but Dumbledore is more intent upon preparing him for the final battle that he knows is fast approaching. Together they work to find the key to unlock Voldemorts defenses and, to this end, Dumbledore recruits his old friend and colleague, Professor Horace Slughorn, whom he believes holds crucial information. Meanwhile, Harry discovers an old book marked mysteriously "This book is the property of the Half-Blood Prince" and begins to learn more about Lord Voldemort's dark past. I just got this one in a DVD/Blu-ray combo this past month. Which is one of the reasons I started to watch the series this weekend. As I was looking forward to watching one on Blu-ray and knew I had to watch these in order. I can't say this one is a favorite compared to the rest of the series... but it is enjoyable. It is worth the time you put in to watch it. I would say if you are a fan of the earlier films you will want to see this one too. I can't comment on how it compares to the book as I never read any of the books. 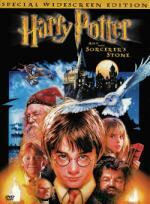 Unfortunately this is the last Harry Potter film I have in my collection. I still need to get the final two parts to complete my collection. Hopefully I will be able to do that before too long. I'm in the process of reading my Harry Potter books again. I'm about 200 pages into Goblet of Fire. True .. but to be fair how many films have you seen where the film is better than the book? It's the "Don't Call Me Shirley!" 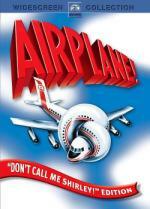 Special Collector's Edition of that high-flying, smash-hit comedy farce, Airplane! Robert Hays and Julie Hagerty join panicky passengers, inept ground controllers and an inflatable auto-pilot (named "Otto," of course!) in the disaster-film spoof voted "one of the 10 funniest movies ever made" by American Film Institute. Surely, you won't find a funnier film on DVD. And don't call me Shirley! I decided to watch this one with Brittany today. This is the first time she ever seen it.... and the first time I seen it since I was a teen. So I probably haven't seen it in a good 30 years! It is very strange... even after all those years there was a lot of stuff I remembered. After all those years I was telling Britt ohh.. watch this part it's funny. I remembered so much while watching you would have thought I watched it less then a month ago. But to be fair I did watch it countless times when I was a teen. Sure this movie goes with the obvious jokes... and some of those jokes are rather dated... but all the same this film is a lot of fun to watch! Brittany said it was a fun movie... but nothing there really got her laughing all that much. I am afraid I may have hyped it up for her a little too much. Plus this movie was made in 1980, so she didn't get all the references and such. But she said it was fun all the same. I, myself had a blast watching this one again after all these years. Definitely recommended. A reluctant hero. An epic journey. A choice between the life he left behind and the incredible new world he's learned to call home. 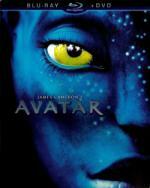 Return to James Cameron's AVATAR — the greatest adventure of all time. Brittany and I decided to watch this one today. It is a film out of her collection... but the first time either one of us has seen it. I was a little nervous going into this one... mainly due to the length. But I had always heard good things... so was more then willing to see it through. The first thing I notice on this one is that it is an absolutely gorgeous film. I am thrilled that I got to see this one for the first time on Blu-ray. Unlike my brother who watched it for (I believe) the first time on a basic cable channel. As for the story itself... I was also happy there. It kept my attention through-out with ease. It is definitely one I would recommend. I grabbed this one because it sounded interesting to me. It is a mixture of a "Found Footage" film and an Anthology... and I enjoy both these types of films. Over-all I enjoyed this one quite a bit. I found I enjoyed most all the stories. I especially liked the one where the guy and girl was video chatting over the computer. going by reviews I read it seems like basically half the people enjoy it and half the people hate it. But I think if you like Anthologies and found Footage films... this one is definitely worth checking out. I am now looking forward to seeing part 2 when it comes out.